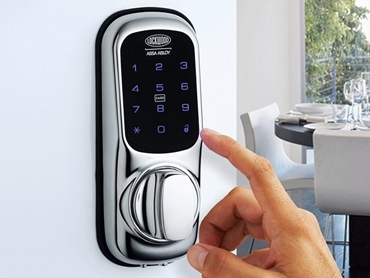 Electronic Keyless Entry Locks are becoming the standard for front doors in your house. The convenience of not needing keys, being able to provide temporary access to cleaners or tradesman and keeping track of who has accessed the lock such as when children get home from school are all great features not available with traditional locking. Accessing your lock via you smartphone to open or lock the door or to lock someone out is all possible. Whether it is a Lockwood, Kaba, Samsung or Kwikset Kevo, Allstrongs have many options available. Allstrong Locksmiths & Security is pleased to be one of Queensland’s first Salto Systems Accredited Dealers. This unique range of products allows the end user to have the full functionality of traditional hard wired access control systems at a far reduced cost. Salto is widely used throughout the world on Hospitality, Education, Healthcare, Local Government and Commercial applications. The quality and durability of the products make them a long term solution. With options of Managed, Self- Managed and Live Systems, this enables easy programming of cards or proximity fobs, live lock down, full audit trail and many time restriction options. Clay by Salto is an APP based system which makes it a very user friendly with innovative technology. 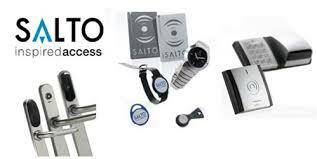 Salto offers unique products in their range such as keyless padlocks and Australian lock cylinders. This makes converting of your existing locks very easy and cost effective. The system can be moved from door to door as no physical cabling is required. Allstrong have successfully installed these systems in various private schools, public schools, marinas, clubs, hotels and motels, councils and corporate offices. Call us today for a demonstration of the many features of the Salto range.